services | B&B Contracting Corp.
Seamless gutters are rain gutters created on-site with a gutter machine mounted to a service truck. 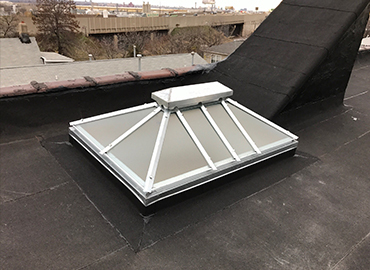 they have no seams, and are custom measured and installed on-site in one continuous run. An inch of rainfall doesn't sound like much. But when it falls on an average-size roof, it adds up to a 1,900-gallons. That's an awful lot of water that can cause an awful lot of damage if your gutters aren't up to the task of controlling it. Yet we barely give gutters a second thought until they're clogged and overflowing, or ripped from their moorings by ice and snow. 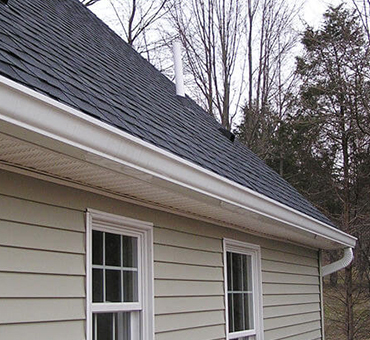 A 5-inch seamless aluminum gutter is considered standard, however oversized 6-inch seamless gutters are becoming increasingly more popular give us a call to schedule your Free estimate and ensure proper drainage on your property. If you are in need of a new roof installation or roofing repair services, “we’ve Got You Covered and you can rely on our team to get the job done. 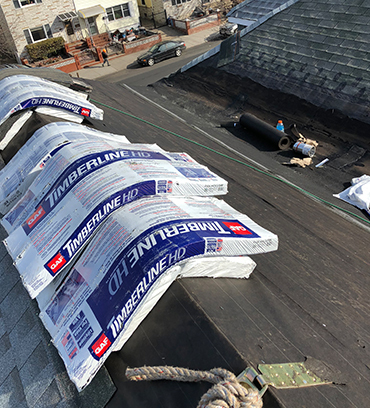 No project is too large or small for us to take on, and we will work with you throughout every step of the process to ensure you end up with the roof you want. We have decades of experience with all types of commercial flat roofing material such as EPDM, TPO and Modified bitumen systems. We are manufacture certified installers for the top material providers such as Firestone, Johns Manville, GAF and CertainTeed. So, we know what it takes to get the job done right! We here at B&B only use the best materials when it come to our customers. No matter what type of roof, sloped or flat roof we know what materials we will need to get the job done, you can count on us to make the right decisions for your property. Although we use several suppliers of roofing material our most popular and highest quality products are manufactured by GAF and Firestone. GAF’s line of shingles is the best selling in North America, and for a good reason. Not only are they made with advanced protection technology, but they have a wide variety of products. Firestone is our leading provider when it comes to Commercial and Residential flat roofs, as we have been using it for decades and has proven its self-reliable. Firestone Building Products is not alone in our mission to deliver innovative, worldclass products that not only benefit our customers, but work to ensure a healthy environment.